Although the name 'New England' is now firmly associated with the east coast of America, this is not the first place to be called that. In the medieval period there was another Nova Anglia, 'New England', and it lay far to the east of England, rather than to the west, in the area of the Crimean peninsula. The following post examines some of the evidence relating to this colony, which was said to have been established by Anglo-Saxon exiles after the Norman conquest of 1066 and seems to have survived at least as late as the thirteenth century. 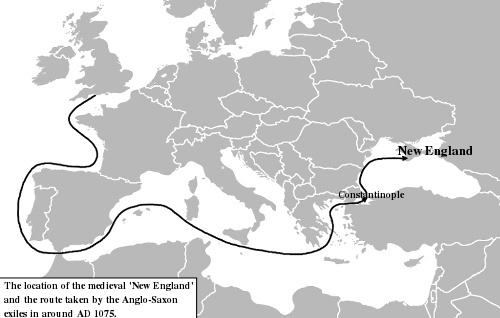 The location of the medieval 'New England' and the route taken by the Anglo-Saxon exiles in around AD 1075 (image: C. R. Green). The evidence for a significant English element in the Varangian Guard of the medieval Byzantine emperors has been discussed on a number of occasions. The Varangian Guard was the personal bodyguard of the Byzantine emperor from the time of Basil II (976–1025), founded to provide the emperor with a trustworthy force that was uninvolved in the internal politics of the Byzantine Empire and thus could be relied on in times of civil unrest. Whilst initially made up of Rus' from Kiev, with Scandinavian warriors subsequently forming an important part of the guard through the eleventh century, from the late eleventh century onwards it had a significant English component too. Indeed, the 'English Varangians' appear to have continued to constitute a high proportion of the Varangian Guard right through the twelfth century and up until the siege of Constantinople in 1204, during the Fourth Crusade. (1) This is, in itself, of considerable interest, but even more intriguing is the question of why substantial numbers of English warriors entered the Varangian Guard in the later eleventh century, for the answer to this is thought to lie in a number of sources that indicate that there was, in fact, a sizeable emigration of Anglo-Saxons from England to Constantinople in the aftermath of the Norman Conquest of 1066. Key references to this post-1066 emigration from England to the Byzantine Empire include a brief account by Goscelin of Canterbury, written in the 1090s; another by the Anglo-Norman historian Ordericus Vitalis (b. 1075), written in the first half of the twelfth century; a more detailed narrative included in the Latin Chronicon universale anonymi Laudunensis, written by an English monk at Laon in the early thirteenth century; and a related, but probably not directly derivative, account in the Edwardsaga, or 'Icelandic Saga of Edward the Confessor' (Saga Játvarðar konungs hins helga), which is thought to have been composed in the fourteenth century but drew on an earlier text that may well have had its origins in the early twelfth century and be the source of the Chronicon Laudunensis too. Although a number of minor details—such as the name of the leader of the exiles and the exact route that they took to get to Constantinople—vary between the latter two accounts in particular, in general the available sources all paint a complementary and consistent picture. According to these sources, what seems to have occurred is that, in the aftermath of the Norman Conquest of England in 1066, a group of English lords who hated William the Conqueror's rule but had lost all hope of overthrowing it decided to sell up their land and leave England forever. Led by an 'earl of Gloucester' named Sigurðr (Stanardus in the Chronicon Laudunensis), they set out with 350 ships—235 in the CL—for the Mediterranean via the Straits of Gibraltar. Once there, they voyaged around raiding and adventuring for a period, before learning that Constantinople was being besieged (either whilst they were in Sicily, according to the Edwardsaga, or in Sardinia, as the CL). Hearing this, they decided to set sail for Constantinople to assist the Byzantine emperor. When they reached there, they fought victoriously for the emperor and so earned his gratitude, with the result that they were offered a place of honour in his Varangian Guard. 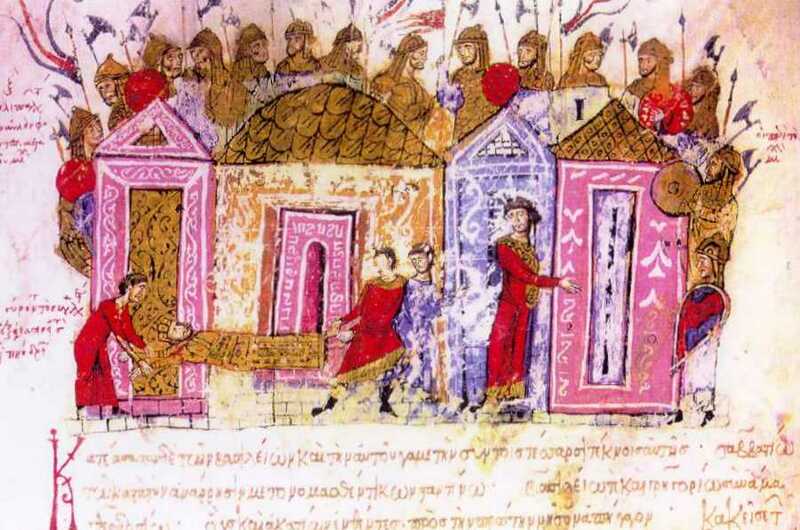 A twelfth-century depiction of the Varangian Guard, from the Madrid Skylitzes (image: Wikimedia Commons). [I]t seemed to earl Sigurd and the other chiefs that it was too small a career to grow old there in that fashion, that they had not a realm to rule over; and they begged the king to give them some towns or cities which they might own and their heirs after them. But the king thought he could not strip other men of their estates. And when they came to talk of this, king Kirjalax [Alexius I Comnenus] tells them that he knew of a land lying north in the sea, which had lain of old under the emperor of Micklegarth [Constantinople], but in after days the heathen had won it and abode in it. And when the Englishmen heard that they took a title from king Kirjalax that that land should be their own and their heirs after them if they could get it won under them from the heathen men free from tax and toll. The king granted them this. After that the Englishmen fared away out of Micklegarth and north into the sea, but some chiefs stayed behind in Micklegarth, and went into service there. Needless to say, the description of New England as lying 'across the sea in the east and north-east from Micklegarth' suggests that the lands that Alexius gave to the English exiles lay somewhere in the region of the Crimean peninsula. This is supported by the sailing time specified too, as the fourth-century AD 'Periplus of Pseudo-Scylax' estimates six days' and nights' sail as the length of the sea-journey from Constantinople to the western tip of the Crimean peninsula. Such agreement in these incidental details is, of course, interesting. So the question becomes, is there any other supporting evidence for the establishment of a 'New England' in the region of the Crimea by the Anglo-Saxon exiles who travelled to the Byzantine Empire in the late eleventh century? Extract from an Italian portolan atlas of 1553, showing the Crimean peninsula, the Cimmerian Bosporus (Kerch Strait) leading to the Sea of Azov, and the north-east coast of the Black Sea; forms of the names Susaco, Londina and Vagropolis are included on this portolan (image: Wikimedia Commons). To the towns that were in the land and to those which they built they gave the names of the towns in England. They called them both London and York, and by the names of other great towns in England. As to the locations of both Susaco/Porto di Susacho and Londina, the portolans clearly map them on the north-east coast of the Black Sea, east of the Cimmerian Bosporus (Kerch Strait). (9) In contrast, two of the other three relevant place-names to be discussed here were located to the west of this strait, on the Crimean peninsula, and at least one other was located to the north on the Sea of Azov. All of these other names seem to ultimately have Varang- as their first element, taking the forms Varangolimen, Vagropoli, and Varangido agaria. The first of these, Varangolimen, contains the Greek word for a harbour and seems to indicate a port belonging to Varangians, and both it and the second, Vagropoli, are mapped on the Crimean peninsula itself, whilst Varangido agaria lay on the Sea of Azov, just to the south of the mouth of the Don river. Although all three of these Greek names refer only to Varangians and don't replicate English place- or region-names, Shepard has argued persuasively that these three names are most plausibly linked to the 'English Varangians', rather than Scandinavian Varangians or Russians. 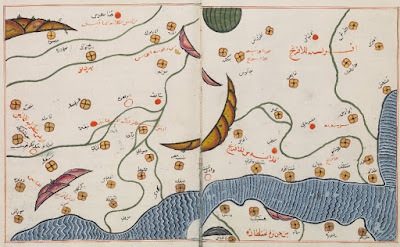 (10) The implication of all this would thus seem to be that the Nova Anglia, 'New England', of the Edwardsaga/Chronicon Laudunensis did indeed exist and that it encompassed at least a number of cities stretching from the Crimean peninsula through to the southern shore of the Sea of Azov (described as 'the Warang Sea' in a Syrian map of c. 1150) and down the Black Sea coast east of the modern Kerch Strait. The Vulan River in Arkhipo-Osipovka, on the north-eastern Black Sea coast, which is sometimes suggested to be the location of the portolans' Londina (image: Wikimedia Commons). In conclusion, the above points would seem to add some considerable weight to the case for the existence of a 'New England' on the northern and north-eastern coast of the Black Sea in the medieval period. Not only does it seem that the Byzantine Empire regained control of that portion of the Black Sea coast in this period, just as the Edwardsaga/Chronicon Laudunensis claim, but there also exists a quantity of medieval place-name evidence from this region that offers significant support for the establishment of English Varangian settlements there and a thirteenth-century account that appears to refer to the continued existence of a Christian people named the Saxi in this area, who occupied defended cities and were militarily sophisticated. 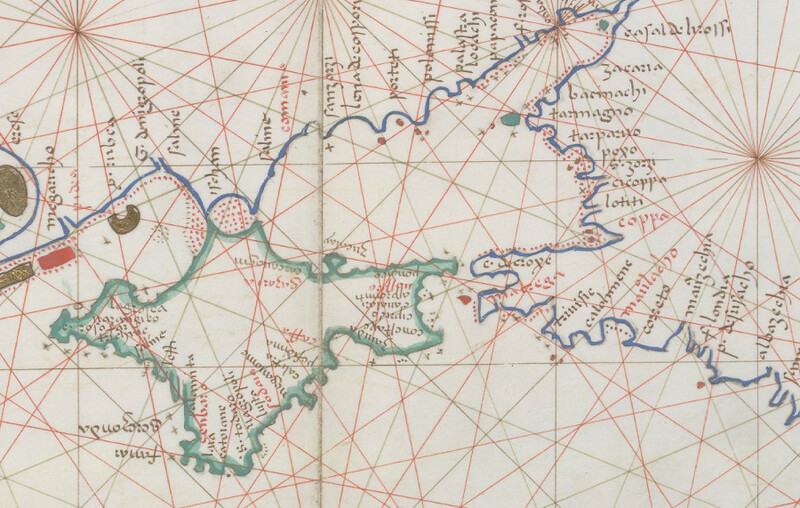 In such circumstances, the most credible solution is surely that the medieval tales of a Nova Anglia, 'New England', in the area of the Crimean peninsula and north-eastern Black Sea coast do indeed have a basis in reality. This territory would appear to have been established by the late eleventh-century Anglo-Saxon exiles who had left England after the Norman Conquest and joined the Byzantine emperor's Varangian Guard, and their control of at least some land and cities here apparently persisted for several centuries, perhaps thus providing a regular supply of 'English Varangians' to the Byzantine Empire that helps to explain why the 'native tongue' of the Varangian Guard continued to be English as late as the mid-fourteenth century. 1 See, for example, C. Fell, 'The Icelandic saga of Edward the Confessor: its version of the Anglo-Saxon emigration to Byzantium', Anglo-Saxon England, 3 (1974), 179–96; J. Shepard, 'The English and Byzantium: a study of their role in the Byzantine army in the later eleventh century', Traditio, 29 (1973), 53–92; and J. Godfrey, 'The defeated Anglo-Saxons take service with the Byzantine Emperor', Anglo-Norman Studies, 1 (1979), 63–74. 2 Shepard, 'The English and Byzantium', especially pp. 60–77; Fell, 'The Anglo-Saxon emigration to Byzantium', 192–3. 3 Fell, 'The Anglo-Saxon emigration to Byzantium', 193–4; Godfrey, 'The defeated Anglo-Saxons take service with the Byzantine Emperor', 69–70. Shepard, 'The English and Byzantium', 81–4, suggests an alternative scenario involving a feared, but never actually realised, siege of Constantinople by the Pechenegs, a Turkic people, in 1090–1. 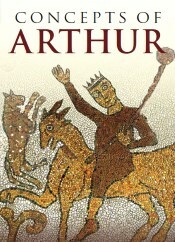 This has, however, failed to find much favour as a candidate for the siege that the English exiles relieved, not least because not only was it not an actual siege, but it also took place so long after the Norman conquest and the period of significant English resistance to the Normans (as Godfrey, for example, notes, pp. 69–70). 4 See further Fell, 'The Anglo-Saxon emigration to Byzantium', 184–5, and especially p. 185, fn. 3, on the identification of Siward/Sigurðr and the potential solution to some of the issues with this. 5 G. W. Dasent (trans. ), Icelandic Sagas: Vol. III. The Orkneyingers Saga (London, 1894), Appendix F, pp. 427–8. See Fell, 'The Anglo-Saxon emigration to Byzantium', 189–90, for the relationship between the Edwardsaga and the Chronicon Laudunensis and the suggestion that both derive from a lost early twelfth-century source. 6 J. Shepard, 'Another New England? 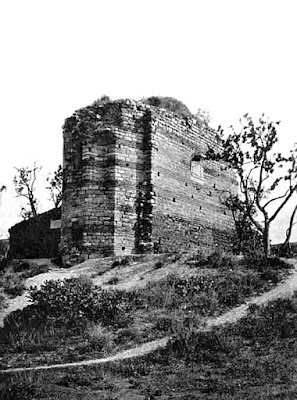 — Anglo-Saxon settlement on the Black Sea', Byzantine Studies, 1 (1978), 18–39. Much of what follows is based on this important but somewhat difficult to obtain article, which offers a convincing and in-depth analysis of the evidence for a medieval 'New England' in the region of the Crimean peninsula and the north-eastern Black Sea coast. 7 Shepard, 'Another New England?, 21–6. 8 Shepard, 'Another New England? ', 27–8; G. A. F. Rojas, "The English Exodus to Ionia": the Identity of the Anglo-Saxon Varangians in the Service of Alexios Comnenos I (Marymount University MA Thesis, 2012), p. 50. 9 More exact locations are difficult: it has been suggested that the river that took on the name Londina was the modern Vulan and this is probably the most plausible solution, with Susaco then necessarily lying to the south-east of this on the basis of the portolan charts. On the other hand, one early nineteenth-century traveller seemed clear that, so far as he knew, the early eighteenth-century Turkish fortress of Sudschuk-ckala'h—Sujuk-Qale, built in 1722 and now the site of Novorossiysk, Russia's main port on the Black Sea until 2014—was the modern descendant of the portolans' Porto di Susacho. If so, then Londina can't have been on the Vulan, as Sudschuk-ckala'h/Novorossiysk is located to the north-west of this river. See further Shepard, 'Another New England? ', 27–8, and J. von Klaproth (trans. F. Shoberl), Travels in the Caucasus and Georgia, Performed in the Years 1806 and 1808, by Command of the Russian Government (London, 1814), pp. 264–5. Note, Susaco continued to be marked on maps of the region well into the eighteenth century; see, for example, Io Baptista Homann's 1715–24 map Imperii Persici in Omnes Suas Provincias and Johann Gottlieb Facius's 1769 map Carte exacte d'une Partie de l'Empire de Russie &c.
10 Shepard, 'Another New England? ', 30–1. 11 C. Dawson (ed. and trans. ), Mission to Asia: Narratives and Letters of the Franciscan Missionaries in Mongolia and China in the Thirteenth and Fourteenth Centuries (New York, 1966), pp. 42 (quotation), 80. There is an extensive discussion of the various suggestions that have been made as to the identity of the Saxi in Shepard, 'Another New England? ', 34–8, who demonstrates that none of the other candidates are really credible, given the name, faith, location and character of the Saxi in the friars' accounts. 12 S. Blöndal & B. S. Benedikz, The Varangians of Byzantium (Cambridge, 1978), p. 180; Shepard, 'Another New England? ', 39. 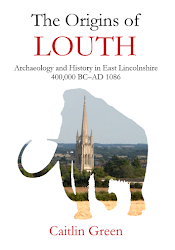 Previous posts on this site have looked at the coastline of Lincolnshire in the palaeolithic and early medieval eras. 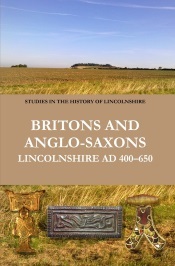 The following post continues this theme by examining the changing coastline of Lincolnshire in the later medieval period, from around AD 1250 until 1600, with a particular focus on some of the medieval and early modern villages and churches that were lost to the sea and drowned in that era. 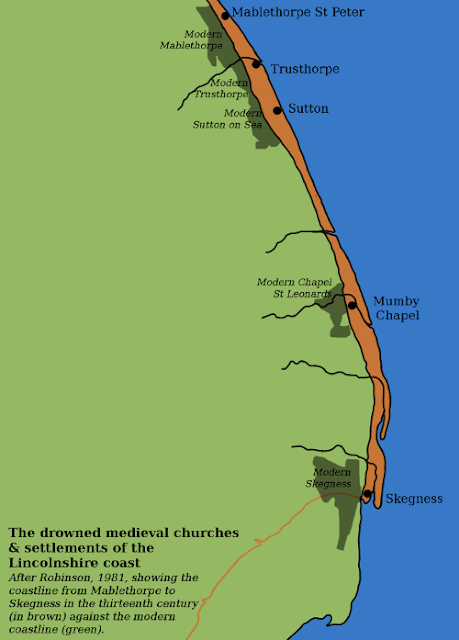 The coastline of Lincolnshire in the thirteenth century, drawn by C. R. Green after S. Pawley, Lincolnshire Coastal Villages and the Sea c. 1300–1600: Economy and Society (University of Leicester PhD thesis, 1984), with slight modifications. 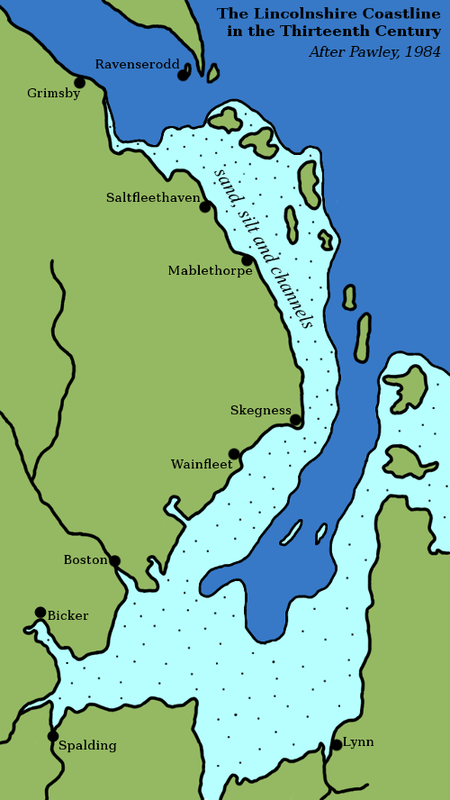 This map includes one depiction of the possible number and extent of both the offshore barrier islands that are often thought to have protected the coast of Lincolnshire through until the thirteenth century and the calmer, lagoonal conditions that they are suggested to have created to their west, which protected the Lincolnshire coast from the full erosive force of the North Sea. It is against this background that the events described in this post took place, as the coast of Lincolnshire started to suffer under the same sort of erosive forces that have led to the loss of significant amounts of land, and a large number of villages, along the unprotected coastline of the East Riding of Yorkshire since the Iron Age/Roman period. (3) With the foreshore no longer protected by a sequence of coastal barrier islands and a sheltered tidal lagoon, the sea began to make significant inroads into the land here, reclaiming a mile or more from the coast between Mablethorpe and Skegness by the end of the sixteenth century and destroying a number of low-lying coastal settlements in the process. The view over Mablethorpe beach from the modern Golf Road/Quebec Road car park; the settlement and church of Mablethorpe St Peter is said to lay offshore from this spot (image: Geograph, copyright Richard Croft and used under a CC BY-SA 2.0 license). The drowned coastline, churches and settlements of the Lincolnshire, c. 1250–1600, drawn by C. R. Green after D. N. Robinson, The Book of the Lincolnshire Seaside (Buckingham, 1981), with minor modifications and the addition of selected modern settlements. The thirteenth-century coastline, in orange-brown, is set against the modern coastline (green), showing the extent of the erosion on the east coast. Also depicted are a number of lost settlements and their modern equivalents.Note, the 'new lands' to the south of Skegness were created via reclamations from c. 1555 onwards. our ancient parish church, some houses inhabited, and very much of the best grounds in our said town was destroyed by the sea and is now sea. 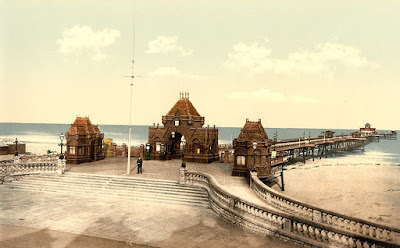 The pier at Skegness as it appeared in the 1890s; 'old Skegness' is generally thought to have been located at a spot out to sea opposite the end of the pier. Note, Skegness pier is nowadays significantly shorter than it was, due to damage it sustained during the severe storm of January 1978 (image: Wikimedia Commons). 1 These coastal barrier islands were first suggested by H. H. Swinnerton, 'The post-glacial deposits of the Lincolnshire coast', Quarterly Journal of the Geological Society, 87 (1931), 360–75. See also D. N. Robinson, The Book of the Lincolnshire Seaside (Buckingham, 1981), pp. 13, 17 (map), 20; S. Pawley, Lincolnshire Coastal Villages and the Sea c. 1300–1600: Economy and Society (University of Leicester PhD thesis, 1984), pp. 69–70, 73–5, 80; S. Bennett & N. Bennett (edd. ), An Historical Atlas of Lincolnshire (Hull, 1993), p. 8; Institute of Estuarine and Coastal Studies, Humber Estuary & Coast (Hull, 1994), p. 33; H. Fenwick, The Lincolnshire Marsh: Landscape Evolution, Settlement Development and the Salt Industry (University of Hull PhD Thesis, 2007), pp. 54, 160, 174, 181–2, 189, 199, 202, 267, 304; and Natural England, NA 101: Bridlington to Skegness Maritime Natural Area Profile (Sheffield, 2013), pp. 11, 21. 2 Pawley, Lincolnshire Coastal Villages, p. 75. 3 It is estimated that up to six kilometres have been lost from the Holderness coast since the late prehistoric period: T. Sheppard, The Lost Towns of the Yorkshire Coast (London, 1912); R. Van de Noort et al, 'The "Kilnsea-boat", and some implications from the discovery of England’s oldest plank boat remains', Antiquity, 73 (1999), 131–5 at p. 131. 4 A. E. B. Owen, 'Mablethorpe St. Peter's and the Sea', Lincolnshire History and Archaeology, 21 (1986), 61–2 at p. 61. 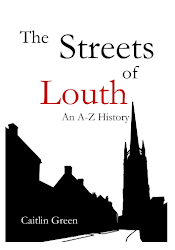 On the location of Mablethorpe St Peter church, see T. Allen, History of the County of Lincoln, 2 vols. (Leeds, 1830), vol. 2, p. 153. 5 Owen, 'Mablethorpe St. Peter', p. 61. 6 Robinson, Lincolnshire Seaside, pp. 20–1; Owen, 'Mablethorpe St. Peter', pp. 61–2; W. A. B. Jones, 'Mablethorpe', The Lincolnshire Magazine (Lincoln, 1932–4), vol. 1, pp. 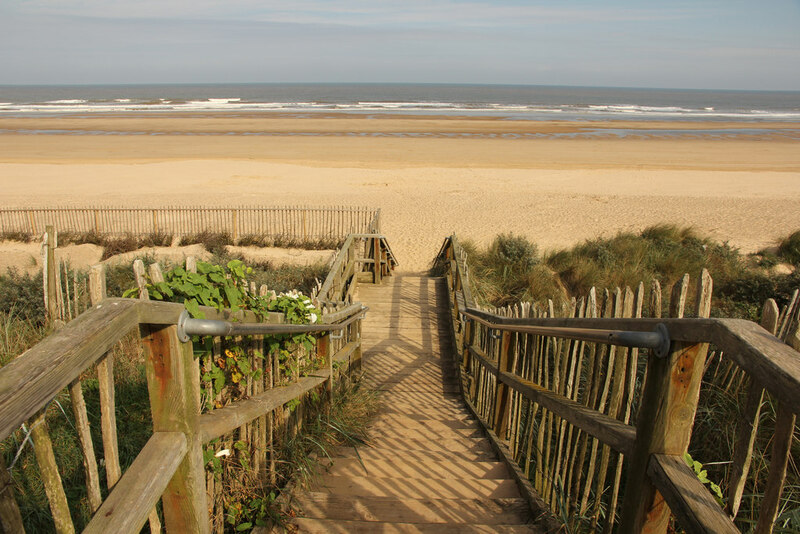 203–06 at p. 204; Pawley, Lincolnshire Coastal Villages, p. 83. 7 B. Whitwell, Roman Lincolnshire, 2nd edn. (Lincoln, 1992), pp. 51–3; A. E. B. Owen & R. Coates, ‘Traiectus/Tric/Skegness: a Domesday name explained’, Lincolnshire History and Archaeology, 38 (2003), 42–4; J. Leland, The Itinerary of John Leland the Antiquary, ed. T. Hearne, 9 vols. (c. 1538–43, Oxford, 1770), vol. 7, p. 152; Pawley, Lincolnshire Coastal Villages, p. 80. Note, a small number of Roman finds have been recovered from the Skegness foreshore and reported to the local Historic Environment Record including, most intriguingly, a 'brothel token' that was found 'near to the pier' (Lincolnshire Historic Environment Record PRN 41709); this is one of only two examples of Roman brothel tokens recorded from Britain, the other being found a few years ago at London. 8 Pawley, Lincolnshire Coastal Villages, pp. 80–3; A. E. B. Owen, 'Coastal Erosion in East Lincolnshire', Lincoinshire Historian, 9 (1952), 330–41, esp. p. 340; Robinson, Lincolnshire Seaside, pp. 18, 20–1; W. Kime, The Book of Skegness (Buckingham, 1986), p. 12. 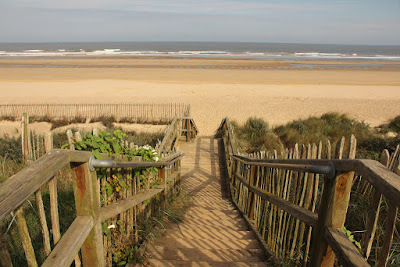 9 Pawley, Lincolnshire Coastal Villages, p. 83 and fn. 31; Owen, 'Coastal Erosion', p. 334; Lincolnshire Historic Environment Record PRN 43148, and newspaper clippings from the 1990s; Robinson, Lincolnshire Seaside, p. 44. The wattle hurdle was made of oak and was found in 1995; it has been radiocarbon dated to Cal AD 800–975. 10 Quoted in Robinson, Lincolnshire Seaside, p. 22. 11 Robinson, Lincolnshire Seaside, p. 21; Dave Lascelles, personal communication and photographs, 2011. 12 R. Holinshed, Chronicles of England, Scotland and Ireland, 6 vols. (1577, ed. London, 1808), vol. 4, pp. 254–6 (with modernised spelling). Note, the date of the disaster at Mumby Chapel is often given as 1571, but this is a mistake: see A. E. B. Owen, 'Chapel St Leonards and the Flood of 5 October 1570', in C. Sturman (ed. ), Lincolnshire People and Places: Essays in Memory of Terence R. Leach (Lincoln, 1996), pp. 87–90. 13 Robinson, Lincolnshire Seaside, pp. 21, 27, 35, 125–37; J. Lyon, Beach Replenishment and Derived Archaeological Material: Mablethorpe to Skegness Beach Replenishment Scheme (London, 2005), especially pp. 38–44.